For our final review of the year we're going to Compass Box. 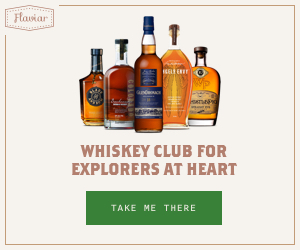 A perfect example of what other companies in the whisk(e)y business should be following. Compass Box is extremely transparent with what goes in to their blends. First things first, Compass Box is not a distillery. They are a blending house. The take products from various companies and create their own (usually delicious) blends. Head distiller, John Glaser has a knack for making something special using other people's distillates. Great King St has a few different blends, but this review is for the Glasgow Blend. It's a nod to the way blending houses tried to create full flavored whisky back in the 19th century when single whiskys weren't perfected the way they are today. This blend uses a high single malt content with plenty of sherry and peat influence. Non-chill filtered and no color added, this is bottled at 43% abv. Going back to the transparency, Compass Box not only tells you what is in the blend, but also the type of wood it was matured in. So what goes in to Compass Box Great King St Glasgow Blend? *Blend of Clynelish, Teaninich and Dailuaine which has a second maturation in a custom barrel. The staves as from used bourbon American Oak but the heads are replaced with new French Oak that was toasted which pulls out some of the spice and oils of the wood. I think this is a beautifully blended whisky that gives the sherry influence with enough peat influence to keep things interesting. Often times the peat becomes over-powering and the sherry in lost, but not here. This is delicious! Palate: Initially the sherry sweetness takes front and center before the peat influence shows up without being too overly powerful, enough oiliness to keep tasting it for a while. Finish: Medium long going back and forth between sweet and smokey finally exiting with the sherry sweetness. This is up there as one of my favorite whisk(e)ys ever and it's my pick for the most under-rated whisky out there. At around $45 this is a bargain! More people should be talking about this one. MUST BUY! Highland Park Valkyrie is a single malt Scotch with no age statement. It's part of the new gimmicky line from Highland Park where everything has a viking theme but lacks an age statement. The story is written well enough that they're able to charge a substantial amount of money for all of their NAS whiskys. I don't have anything against vikings, I actually have a half sleeve of Odin on my right arm, I just feel this new line from Highland Park is reaching. Yes, we know there was a big viking presence in the Orkney Islands, but c'mon. Does the whole line need a fancy story? ​Anyway, Valkyrie. It was their replacement to Dark Origins which is my favorite Highland Park product I've tried. How does it stack up? Valkyrie is triple matured in a combination or American and European sherry-seasoned oak, as well as ex-bourbon American oak. It's sherried and peated with 50% peated malt used. Non chill filtered and no color added (the way I prefer all whisky) and bottled at 45.9% abv. Color is medium dark with some red hue from the sherry. Nose is lighter than I'd expect, almost floral with very light peat notes. Taste is a little on the sweet side, mild smoke and floral. The finish doesn't linger as long as most peated whiskys do. Since this isn't an Islay whisky, the peat is much more mild than whiskys from that region. It's definitely no Dark Origin that's for sure, but neat this is pretty enjoyable. Is it close to $100 a bottle enjoyable? Definitely not. If it were half that price I'd recommend it, but due to the high price tag on almost everything HP, I can't give this a buy recommendation from me. I gave it a 7.8 out of 10 while neat. Avoid ice! Final thoughts: Good whisky but over-priced. Let's stop with all the story-telling. One-offs are cool, but the entire core line is just over doing it. Bring back age statements. When you make friends in the whiskey world you get to taste some stuff that normally wouldn't be on your radar otherwise. Sometimes you meet people who are so special, they gift you whisky that meets that criteria as well. ​This is one of those cases, this was a gift from a friend I made through one of our whiskey meetup groups. Cadenhead in Scotland's longest running independent bottlers. Often times Cadenhead buys single casks and then bottles them under their label, other times they make their own blend, hence the "creation" part of the name. This is the latter. Cadenhead Creations Sherry, 20 year old Scotch. 2 single malts and 2 grain whiskys, then blended and rested in sherry wood before bottling at 46% abv. The single malts are from Bruichladdich and Mortlach. No color added and non-chill filtered. This one is by far the most heavily sherry forward whiskys I ever tasted. For a 20 year old whisky (age is based off the youngest part of the blend) this doesn't come across as a mature whisky, it tastes rather young in my opinion. The mouthfeel is thin but the finish tends to linger a bit with the sherry. Nose is slightly disappointing with nothing that jumped out to me. Taste is not very bold but you do get all the fruits you would expect from the sherry. With a drop of water I was getting dark chocolate on the mid palate. I gave a slight edge of with water vs neat (7.0 vs 6.9) due to getting that chocolate note even though it made the finish shorter. Final thoughts: I'd only recommend this one for the die-hard sherry fans. This is our second time reviewing a whiskey from Rabbit Hole. The first one was their sourced bourbon finished in PX casks, which to this day is still my go-to dessert style whiskey. This time around we are reviewing their rye whiskey. This was contract distilled which means it's made to their own recipe but in another distillery. This is different than sourced whiskey which is where you simply buy someone else's product. While this is a 95/5 Rye, it is NOT an MGP product. It's Rabbit Hole's 95% rye 5% malted barley, this was made by New Riff in Kentucky. While Rabbit Hole as a company is young, they have a lot of veterans of the whiskey game involved. This tells me Rabbit Hole intends to be a serious contender in this crowded industry and will do what it takes to stand out from the crowd. Let's discuss the rye whiskey now. So I brought this to a whiskey meetup since Johnny Brolic himself stated he wanted to try it. The bottle was freshly opened right there and it was a descent pour, nobody had complaints. At the time of this video review, only 3 days had passed but the difference in taste and aroma was night and day! I'm impressed that it packs this much flavor from such a young whiskey. Taste: Rye spice followed by sweetness, finishing with more rye. Kind of mouth drying but with a lingering flavor that clings to the palate for a while. Finish: Long. Drying and enjoyable. I really enjoyed this one neat and give it a solid 8.5 out of 10. Since this was Just Mike's first real rye whiskey, watch the video below to see his opinion. We're back for another episode of our mystery whiskey review series: Brown Bag Special. To keep things simple for those who don't know, BBS is where Just Mike goes out and buys a whiskey from any price range he decides on (including bottom shelf) without telling me anything about it and we review it without unveiling what it is, or what it costs, until the end of the video. Just Mike said he paid around $25 after taxes on this one. Off camera he said it was purchased at Sidewalk Spirits in Vista. Based off the nose alone I thought this was a bottom shelf or well whiskey. It wasn't pleasant, very grain heavy with a harsh alcohol smell. Surprisingly it didn't taste any where near as bad as the nose. Granted, it's not enjoyable, it's just that I expected a harsh flavor. John Barr has a very slight sweetness and a very quick finish. ​I think this is best as a party whisky (read: shots) or a cocktail mixer. It's not a good sipping whisky at all. I would pass on this one, yet Mike says he likes this more than Johnnie Walker Black. To each their own, but I think he's nuts. While Just Mike had to call out sick for this review, I was joined by the always beautiful (even when sick), Wonder Woman. It was kind of fitting to have her join me since Michters is actually run by women. The master distiller is Pamela Heilman and the master of maturation is Andrea Wilson. Michters Toasted Barrel is a limited release bourbon that is essentially their standard bourbon that has a second aging finish. They finished the bourbon in brand new toasted american white oak barrels for 26 days. The wood for the second maturation was air dried for 18 months before being used. They then toast it over an open flame for 60 minutes. Their bourbon goes into the original barrel at 103% abv (rather low) that has a #3 char level. The bourbon then gets bottled at 45.7% abv. I inquired about the speculation that Michters is a sourced whiskey and was given this answer to explain it in simple terms. There were 3 phases of Michters. Phase 1 they used sourced whiskey that they bottled and sold to raise revenue. Phase 2 Pamela Heilman was distilling the product herself but using a distillery that Michters does not own. Essentially it's like renting the equipment but you're still doing all the work yourself, which is vastly different than sourced whiskey. This Toasted Barrel is from phase 2. Now they are in Phase 3, which means they are currently distilling and aging their own distillate in their very own distillery. The retail price of this is around $60 which is a somewhat fair price. Even though this is a NAS whiskey. The unfortunate part is that whiskey flippers are trying to get insane prices on the secondary market in excess of $200 for this. You will never see or hear me support secondary pricing and there is no exception here. I know this took longer than I thought it would take, but I finally recorded an unboxing video for my Flaviar welcome box. Inside the welcome box there's a little welcome card and then a cylindrical box that has the sample vials inside. On top of that box is a ceramic coaster and under the coaster is your tasting notes for the samples inside the box. It even comes with cards that have stickers for the samples if you want to do a blind tasting, that's a cool idea. My welcome box had 3 whiskey samples. C- Wolfburn Aurora <----I was really excited for this as I love Wolfburn! I did a brief review of each whiskey in the video, but that Wolfburn did not disappoint! I've been telling everyone they need to join Flaviar. Usually there is a waiting list to get in, but right now you can use my link to skip the waiting list to join right away! Click here to join Flaviar today! Even better than skipping the waiting list, you can use my promo code to save 10% off your membership dues! Head distiller of Bruichladdich, Jim McEwan did something unique with this expression. The Port Charlotte Islay Barley is made 100% on Islay. From the growing, harvesting and drying of the barley, down to the distillation, aging and bottling. They used Oxbridge and Optic barley. This comes in at 40 ppm. Not exactly what I think of when I hear "Heavily Peated" and I'm actually glad it wasn't as peated as I was expecting based off the name. This is so well balanced and what I would dub and slightly more than lightly peated....far from heavy. This was bottled at 50% abv. The color is very pale with a slight golden honey hue. Although it is a NAS whisky, it does not taste young at all and I'd guess that the majority of this single malt whisky is double digits in age. It's a beautiful dram. So much so, it got Mike to show excitement over it! Burning Chair is an interesting whiskey. The head distiller, Dave Phinney, comes from a wine background and used that to influence this bourbon. Burning Chair is a bourbon whiskey produced by Savage and Cooke out of the San Francisco Bay area of California. While this expression is a sourced whiskey from 3 different sources*, it's then vatted together and finished for 8 months in Napa Valley wine barrels that we hand selected by Dave Phinney. The color has a deep reddish hue so you can definitely see the wine influence. It's bottled at 44% and comes in a beautiful matte black and triangular shaped bottle. *sourced locations are Kentucky, Indiana and Tennessee. I know the holidays can often be a stressful time of year for people and it's sometimes difficult to know what gifts to give out, so I put together this gift guide to help you out. Here is a break down of my Top Ten whiskey related gifts to give the whiskey fan in your life. We're going to cover different products related to whiskey at price ranges starting as low as $10 and as high as $500 so there are gifts for all types of budgets. To make your shopping experience as seamless as possible I included direct links* to every product I suggest. I also included a special discount code to save you money on my #1 pick this year! This discount code will save you 10% on your Flaviar membership! There you have it, my top ten whiskey gift suggestions for 2018. Will you be picking up any of these for someone this year? Did I miss something you would recommend? The Glendronach distillery is known for their non-peated whisky that usually has a sherry influence. This expression is their first time in recent years putting out a peated whisky. While it is peated and matured in ex-bourbon barrels, they still finish it in both Oloroso and PX sherry casks. It is then bottled at 46% abv. Natural color and non-chill filtered. At 25ppm this is not too heavy on the peat so it's not a smoke bomb in any sense of the word, but it's enough peat to make this an interesting dram. Both Mike and I enjoyed this one a lot. (neat) but DO NOT recommend this one on ice! The nose is fantastic and the mild, yet clingy peat smoke makes this an enjoyable dram that lasts on the palate for an extended time.